While, at the first sign of winter, migratory birds leave the country in search of warmer lands, just as many birds spend the winter in the same spot. Their overwintering depends on whether they can find enough to eat and a safe place to rest. For this reason, many people set up bird houses in their gardens and yards. 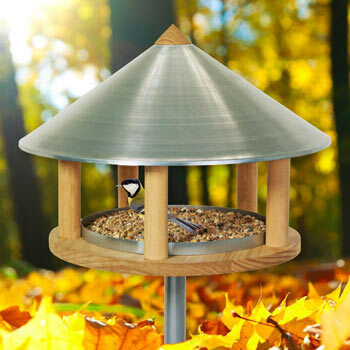 With a bird feeder and the right equipment such as titmice dumplings, you can keep the situation under control and help our feathered friends. 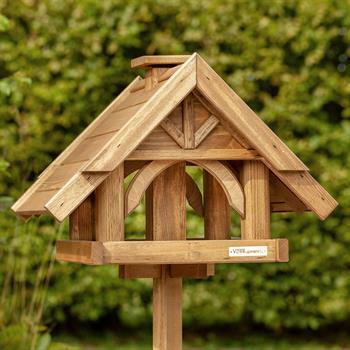 Bird houses are available in a diverse range of designs from plain and traditional to extensively equipped bird houses for the more demanding customer. 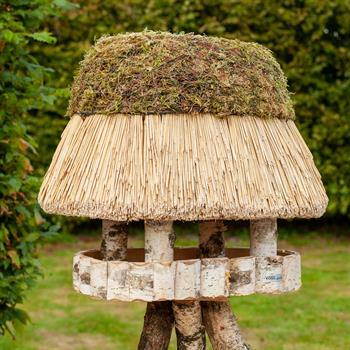 Do you want to encourage birds to visit your garden? 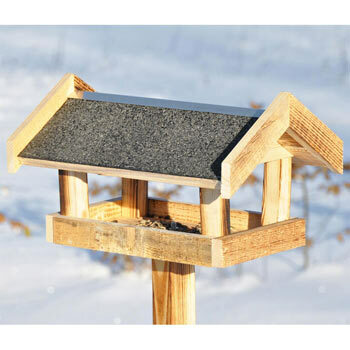 A bird house is not just a worthwhile investment in the winter. It attracts many feathered friends to the garden during the other seasons too. 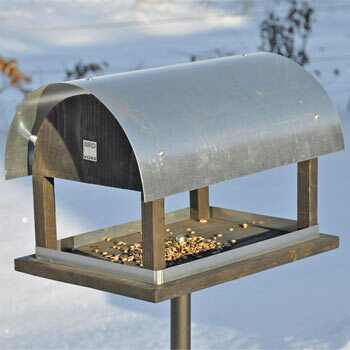 From titmice, finches, sparrows and blackbirds to larger birds such as crows and doves, you’ll be paid a visit by all kinds of birds if the right food is available for them. The feathered visitors are not just interesting to observe and bring life to your garden, they will also reward garden owners with their melodious chirping and song. The supply of food encourages some to settle down in the garden, build nests and breed. This can be fascinating for both adults and children alike. 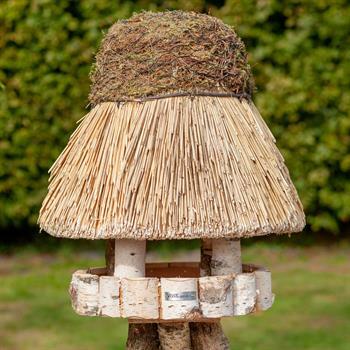 We warmly recommend a bird feeder for family households, as young children can grow up in the colourful world of indigenous and migrant birds, take exciting photos and improve their knowledge of biology for school. 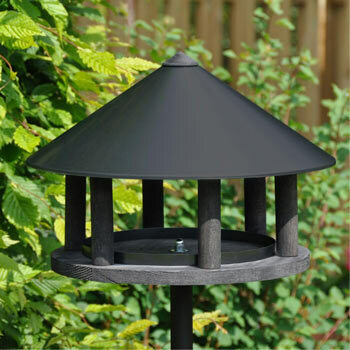 The last aspect ,in particular, is a good reason why many garden owners and bird lovers opt for bird feeders made by well-known manufacturers such as GardenLife. Those who are fed up of standard goods that all look the same and are looking for quality and that special something, will find what they need here. 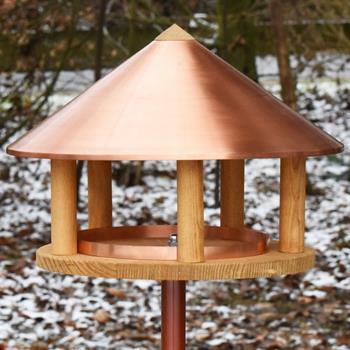 The bird feeder looks refreshingly different and is much more than just a decorative object, as it has been tailored to the requirements of different types of birds. 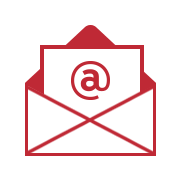 Every feature is well thought out, and therefore these branded goods offer real added value. Some prefer bird feeders that blend seamlessly into the background and look as natural as possible. 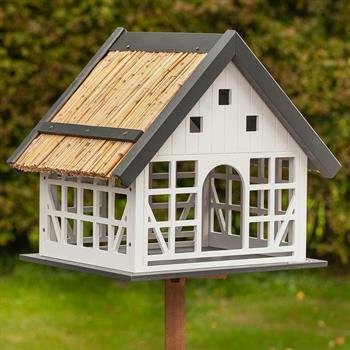 This type of bird house is not an intimidating object which could unsettle those feathered visitors but fits in with the garden ambience and attracts the animals. 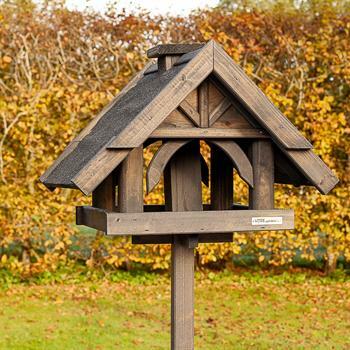 Others attach great importance to the appearance of their bird house and require it to suit the garden furniture, decorative style, building or other criteria. Still others look for an exciting eye-catcher with an unusual design which, at first glance, does not look like a bird house and which arouses the enthusiasm of human visitors and house occupants. The manufacturer, GardenLife, has catered for all of these cases. 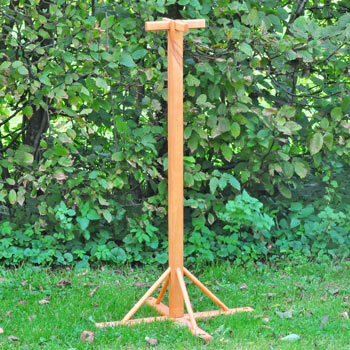 Each product category can be broken down into a wide range of options, from rustic products and those suitable for beginners, to elegant, sophisticated or modern and innovative models. 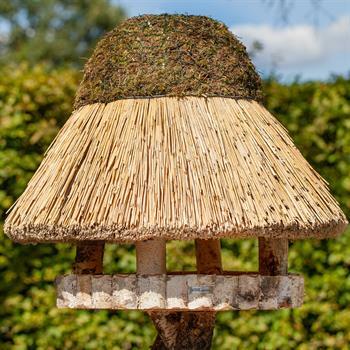 With a nesting box for the garden, the focus is not on food or attracting as many birds as possible, but rather on offering bird couples a place to safely lay their eggs and bring up their young. Nesting boxes generally have an enclosed design with a single opening so that bird families feel protected and don’t run the risk of being eaten by cats or other predators. If you choose to buy a nesting box, you are investing in the future and should not make a false economy. We humans are fascinated by young animals and nature in general, therefore, GardenLife offers the option of nesting boxes with a built-in camera. Without disturbing the mother or nestlings, this provides a unique insight into bird breeding and records chicks as they hatch, feed and grow into fully fledged adult birds. 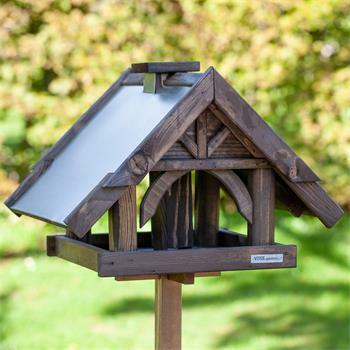 If you would rather have a bird station which covers virtually every area and attracts visitors throughout the year, the right model is also available. 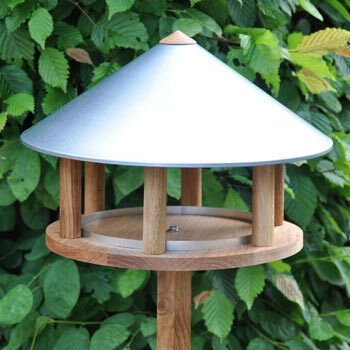 Danish-designed bird houses can be made of wood or metal and are available in the widest variety of shapes and sizes. Excellent value for money is a recurring theme in all their offers. 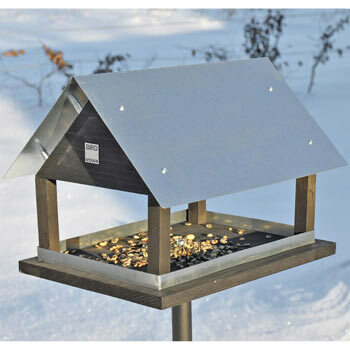 Bird feeding stations are generally equipped with a small roof so that the birds are protected from the wind and weather and the food doesn’t go off. Small versions are just as available as large models, which are suitable if you wish to welcome a maximum number of feathered friends. Certain designs are so luxurious that they could well be described as “bird villas”. Others are more minimalist and at the same time ingenious. They are limited to the strict minimum and also make it possible to feed the birds. When choosing bird feed, it’s important to select different products so that animals with different types of beak, requirements and body types can be provided with sufficient vitamins and nutrients. Fat products (vegetable and cooking fat), titmice dumplings, dry food such as seeds, cereal flakes or sunflower seeds, dried insects and wild bird feed are highly recommended. This will allow optimum use of the Danish bird house. 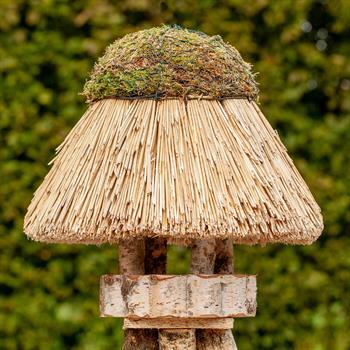 If you want to focus on bird feeding, we recommend a titmice dumpling holder such as those that can be purchased from our online shop, made by GardenLife in various shapes and sizes. How about a stylish multi-purpose model in the style of a feeding palm tree, for example? 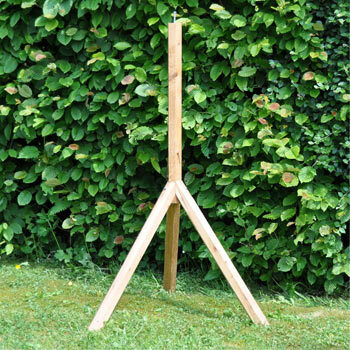 Stick a long pole in the earth – that’s assembly sorted! Palm leaf-shaped arms with hooks stem out from the pole. These are used for attaching the titmice dumplings. This will delight not only titmice, but also many other types of bird – both in winter, summer, spring and autumn. For this, high-quality all-year-round titmice dumplings should be used. As an alternative to the feeding palm tree, titmice dumpling feeding rings are also available. In addition to bird feed, ordinary bird feeding stations can also be equipped with titmice dumplings. This type of feeding station, which is appropriate to the species, will soon become a paradise for hungry birds and give children and adults alike an exciting experience of nature. With GardenLife, the name means everything The company brings life to your garden and also knows all about garden life (flora and fauna). The company was founded in Denmark in 2001. 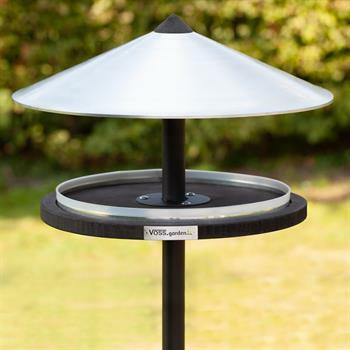 Since then it has been dedicated to products for the garden, from bird feeding solutions and bird houses to garden products based around the subject of dining and barbecues. The decorative aspect is just as much the focus of attention as functionality. GardenLife’s headquarters are based in the village of Vejen, approximately 100 kilometers away from the Danish / German border. The unusual company building is a farm with a showroom in its attic which is used to display imaginative products such as bird houses. The stables accommodate the offices so that the staff there really do work close to nature. 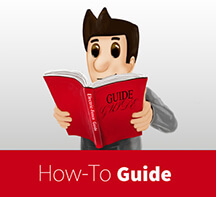 The catalogue is full of interesting innovations available for various prices. 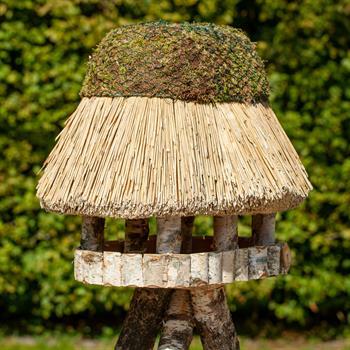 Are you looking for a hard-wearing bird house which looks great and can satisfy many birds? 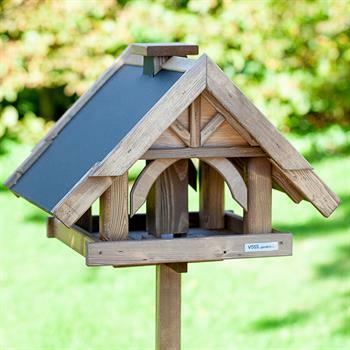 If so, a bird house from GardenLife is precisely what you need. 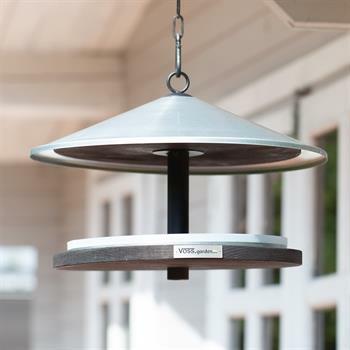 With its clever design ideas and high-quality materials, the Danish manufacturer ensures the satisfaction of birds and garden owners alike. 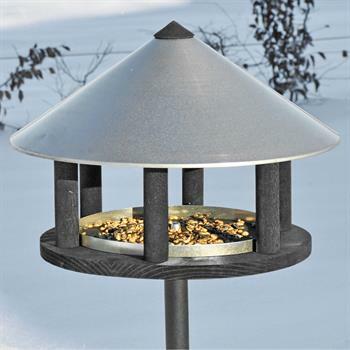 In addition to traditional bird feeders, titmice dumpling holders for ideal feeding can also be purchased – not just in the winter. Nesting boxes round off the broad product range. 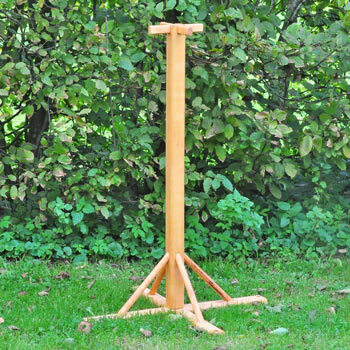 The manufacturer, GardenLife, brings the garden to life in the truest sense of the word. 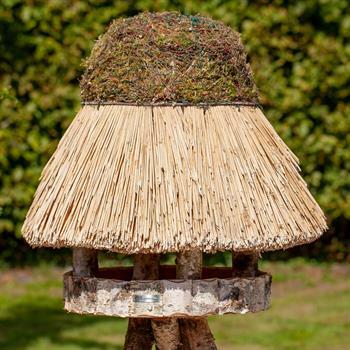 Its bird feeders are decorative eye-catchers, easy to assemble, durable and to some extent also multi-functional.